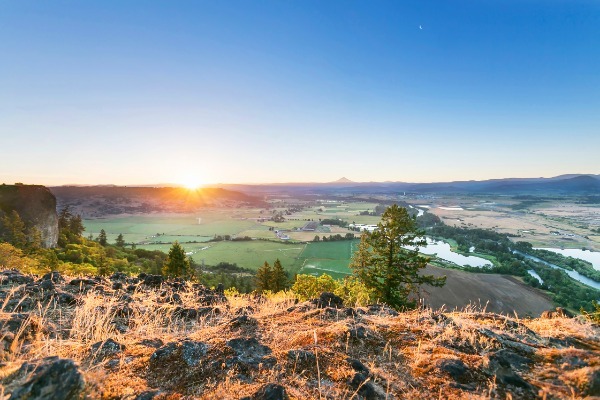 Oregon wines have reached a new pinnacle of flavor and recognition, and Southern Oregon wines in particular evoke a sense of class, quality and community. 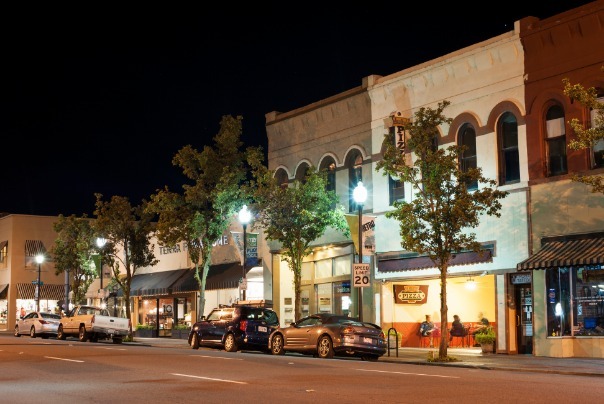 Medford hosts many wine-centric events, including the Oregon Wine Experience in August, and is home to numerous wineries. Among the many Oregon wineries, there is one which blends a European vibe with the warmth and comfort of Southern Oregon. DANCIN Vineyards, a few miles outside of Medford, melds nature, wine, culinary excellence and passion into a tangible experience for the senses. Owners Dan and Cindy started their vineyard 12 years after their first magical meeting. Through meticulous attention to detail and tender care, DANCIN produces distinctly unique and flavorful Pinot Noirs and Chardonnays. Their wines have received several accolades, including 2017 Oregon Winery of the Year by Wine Press Northwest and a Double Gold Medal for their 2014 Trata Pinot Noir at the 2016 San Francisco Chronicle Wine Competition. The wines at DANCIN receive consistently high scores; the 2015 Melange Chardonnay was awarded 92 points and the Editor's Choice in Wine Enthusiast Magazine. Visitors immediately feel welcome as you enter the outdoor seating area and tasting room. On your right, an airy, open glass enclosure provides shade and immerses you in Southern Oregon’s natural beauty. 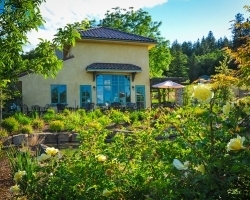 Additional tables and the tasting room are to your left, along with a pond and small walkway. Guests can tailor their trip to their liking, whether that includes a plate or two from the kitchen, or sampling wine. For those who come with an appetite, DANCIN does not disappoint. Each menu item has a suggested wine pairing which emboldens its natural ingredients. Artisan, wood-fired pizzas are the hallmark of DANCIN, transporting you to Italy the instant you take that first bite. The pizzas take classic flavor combinations, such as lamb and mint—which are showcased in the Vinca pizza—and gives diners a fresh experience. Ingredients are delicately layered onto a crunchy crust which carries a whisper of char from the wood fire. The tasting room, open from noon to 8 p.m. Thursday through Sunday, allows guests to relax and enjoy their wine indoors. The subtle nuances of the vineyard’s Pinot Noir and Chardonnay result from a return to traditional wine-making methods. These include fermentations punched down by hand every eight hours and moving the wine exclusively by gravity. A genuine, artisanal wine emerges from a hands-on and finely tuned wine-making process. Visitors are encouraged to explore the winery. Crossing a small bridge sends you deeper into the foliage and past a large pond. A group of perky Koi fish inhabit the pond and jump out of the water when you pass by. DANCIN encourages guests to feed the Koi, and they provide the food for you. 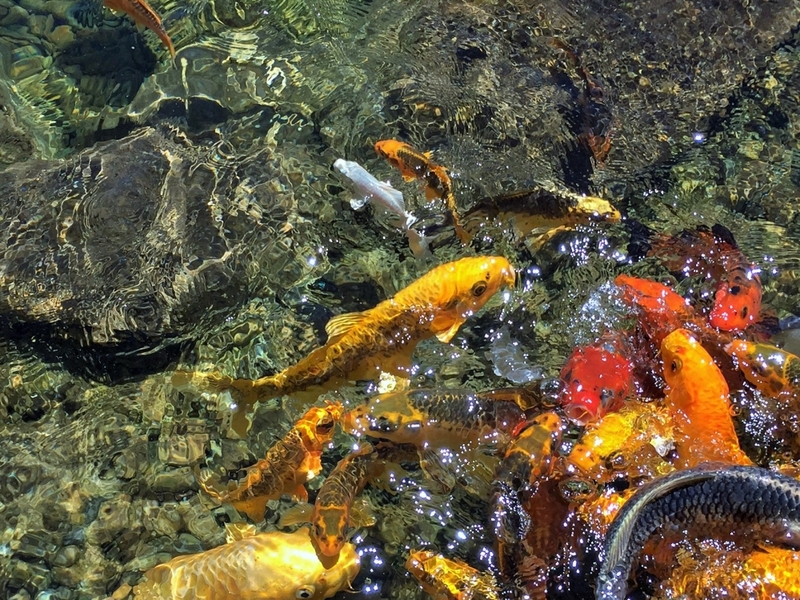 The Koi know when a treat is coming, and they all gather in a pile at the edge of the pond waiting for their meal. When the day is over, you’ll have experienced the full spectrum of wine, food, nature and community. 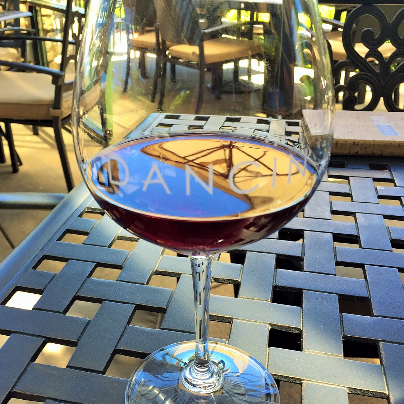 DANCIN Vineyards is much more than food or wine; it’s an experience. A place—a single moment in time—where fantasy and reality converge. Southern Oregon is home to many exceptional wineries, each with their own distinct personalities and varietals. 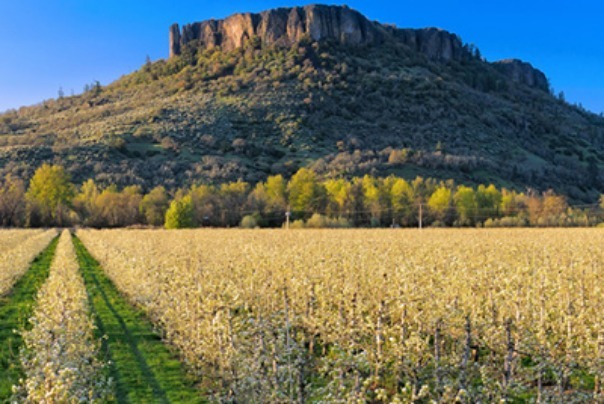 To learn more about the other spectacular Southern Oregon wines, visit Travel Medford's wine trails page.